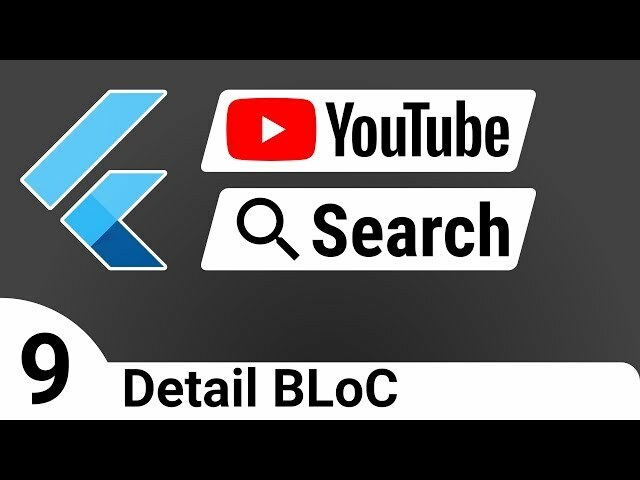 Welcome back to the 10th part of the Flutter YouTube Search tutorial course. After adding the Detail BLoC, there is only one thing left for us to do - to build a beautiful UI. 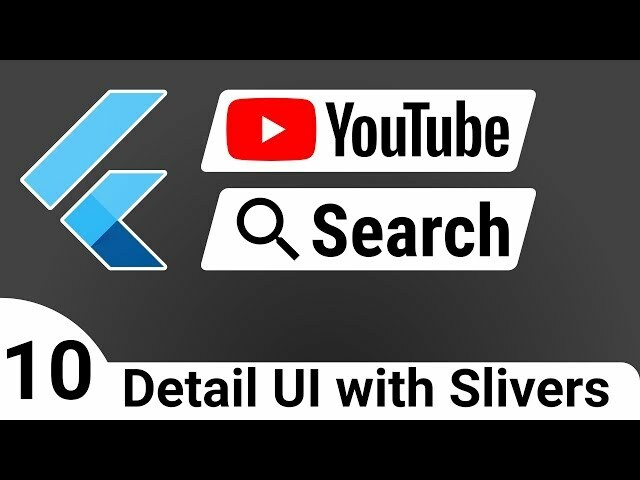 You're going to learn how to use CustomScrollView with Slivers to build an expandable AppBar below which there will be all kinds of information about the selected YouTube video. Many people are bashing Flutter for all kinds of reasons. Most of them are actually Flutter's advantages! When it comes to business, you should pick whatever provides a better return on investment. 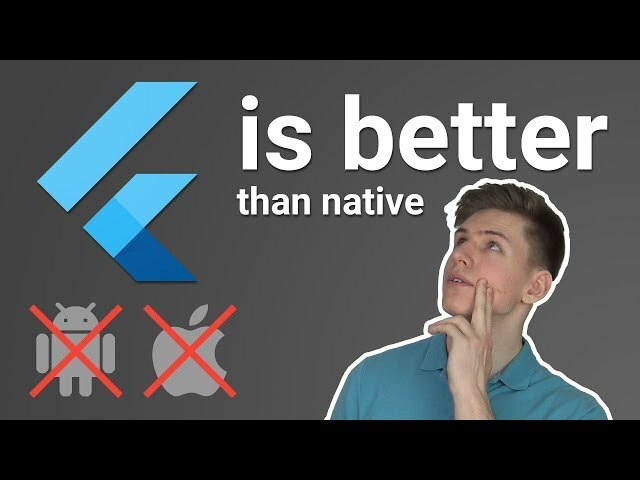 With Flutter, its benefits far outweigh its drawbacks when compared to native Android, native iOS, or even to other cross-platform frameworks like React Native, Ionic, or Xamarin. Videos are everywhere - they can convey information more quickly than any other format. From YouTube and Instagram stories to app development courses, playing videos directly inside your app is becoming more and more needed. 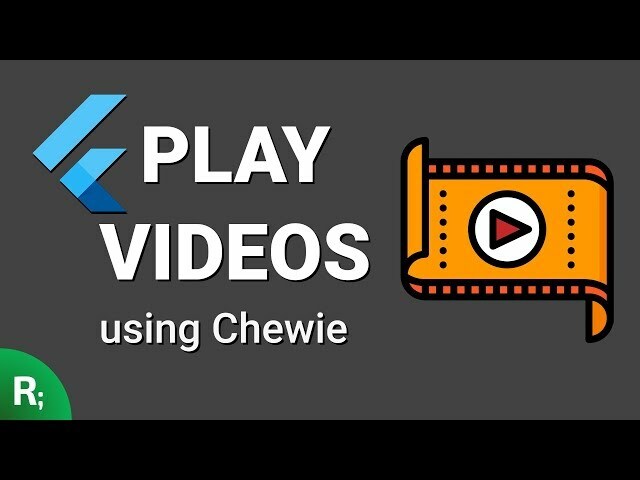 How can play videos in Flutter? There is a library directly from the Flutter team simply called video_player. This library, however, is completely bare-bones. While it can play videos, it's up to you to add video playback controls and to style it. There is a better option which comes bundled with the UI as you'd expect both on Android and iOS - Chewie. Coding Books - Dying Out or Going Strong? Do coding books still have a place in today's world full of free tutorials on YouTube and paid courses which cost only a few bucks? The answer is not that simple. It all depends on the type of book. While some are just a waste of your time and money (sometimes learning from a video is just much more effective), other times buying a book is the best choice. Persistently storing data in Flutter is not one of the easiest experiences if you're just starting out. If you want to move beyond simple "Preferences", which are only key-value pairs, you are probably looking at a library like SQFLite. The problem with this library is that it's very low level and maybe you really don't need to use structured data. What about NoSQL in Flutter? 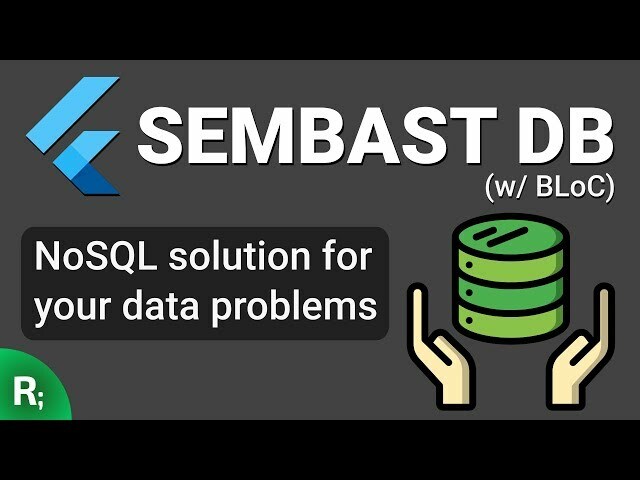 In this tutorial you're going to learn about SEMBAST (Simple Embedded Application Store) which is a very powerful, yet simple to use library for storing, querying, ordering, paginating and even encrypting data. Technical skills are extremely important if you want to be a great developer, but they're not everything. Learning in other areas is very much required. How can you learn though if you are constantly doing something? Working at your job, doing projects for clients, plus, you have your personal life to live. Where in this constant action can you find time to read??? Building Your Developer Portfolio - NON NEGOTIABLE! Building apps and other work might earn you money, but make sure you also think about further income. A portfolio is like your advertisement. Think about it - if you were a person trying to hire a developer, would you care about their CV? Would you want to know what school they attended? Or would you want to know what kinds of apps they've already built? There is simply no better way to distinguish a charlatan from the real deal than by looking at their actual work. The way to showcase your work is precisely inside a portfolio! Welcome back to the 9th part of the Flutter YouTube Search tutorial course. In the previous part, we've added new code to the data source and also to the repository which allows us to fetch detailed data about a single video. Before we start writing a UI, we need to create a BLoC which we will use as the middle layer for communicating between widgets and the repository. This Detail BLoC will be similar to the Search BLoC which we've already created, but the more you do something, the more you learn! Welcome back to the 8th part of the Flutter YouTube Search tutorial course. In the previous part, we've added the model classes for single video detail data, which includes a longer description and also video tags. In this part, we're going to add code to the data source and also to the repository, to fetch this single video data from Youtube API. Welcome back to the 7th part of the Flutter YouTube Search tutorial course. In the previous part, we've finished the main search page by displaying a paginated list. We don't want to end it there though. We are going to add a detail page which will display the full description, tags and it will also feature a good looking app bar. First, however, before we make the UI, we need to set up the data layer for fetching single video information. Being a developer is pretty sedentary. Even if you get a standing desk, you are still not going to expend a lot of energy. The saying "healthy body, healthy mind" is really true and since we, programmers, work with our minds, it's also important to keep our bodies healthy. Welcome back to the 6th part of the Flutter YouTube Search tutorial course. In the previous part, we've added the search field and search bar into the app bar. Now that we have the search initiation sorted, we actually need to take that search data and display it to the user. For that, we're going to use a paginated ListView.